Powerscourt Gardens first began to take shape over two and a half centuries ago. The charming walled garden, the striking terraces, fine statuary and varied trees are linked by carefully designed walks and set in the magnificent surroundings of the Wicklow mountains. 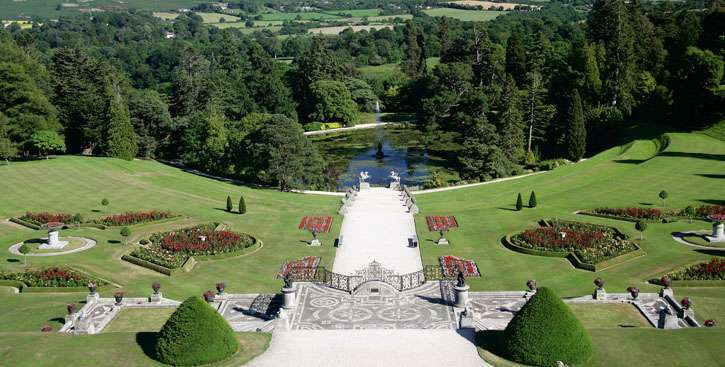 The gardens are accessible (charges apply) through Powerscourt House which is located just outside Enniskerry village. For more information please click here.